Health and physical education majors learn how to help people develop the knowledge, habits, and skills they need to maintain the physical fitness necessary for the best quality of life possible. Students in this major explore ways to promote exercise, reduce illness and disease, combat obesity, increase consumption of nutritious food, and make positive lifestyle decisions. During the most recent academic year, 100% of FVSU education graduates passed the state certification exam, and 90% found teaching positions, were enrolled in graduate school, or became gainfully employed in careers related to education within one month of graduating. In addition to classroom work, FVSU education majors engages in a field experience, working with practicing teachers in their classrooms to plan, implement, assess, and reflect on instructional methods, procedures, and principles. This includes lesson planning, assessing, evaluating, grading, conducting case studies, and developing effective classroom management strategies. The College of Education is accredited by the Council for the Accreditation of Educator Preparation (CAEP), which is the consolidation of the National Council for Accreditation of Teacher Education (NCATE) and the Teacher Education Accreditation Council (TEAC). The college is committed to the preparation of “proficient educators” who are competent in content, pedagogy, and technology, as well as educators who possess a caring disposition while understanding and appreciating diversity. 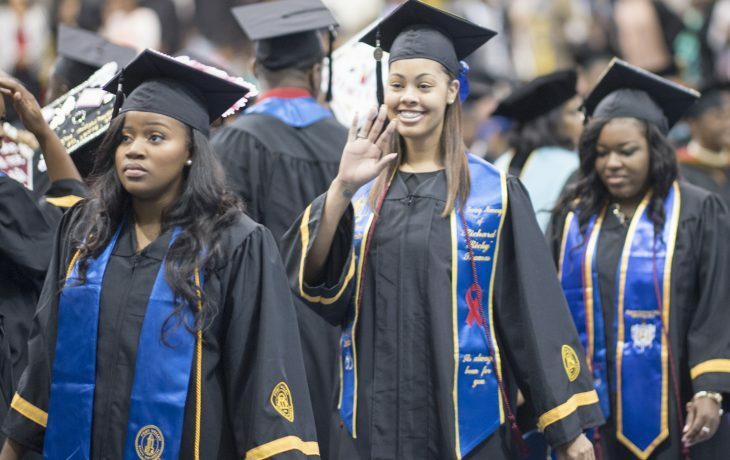 FVSU education majors graduate in an extremely competitive position. College of Education are highly skilled with deep experience in instruction and curricular development. Dr. Rebecca McMullen welcomes you to the College of Education at FVSU.